Sears Canada Deals: Buy One, Get One 50% off All Sears Essentials, Coats & Parks, Footwear, Intimates & Accessories. 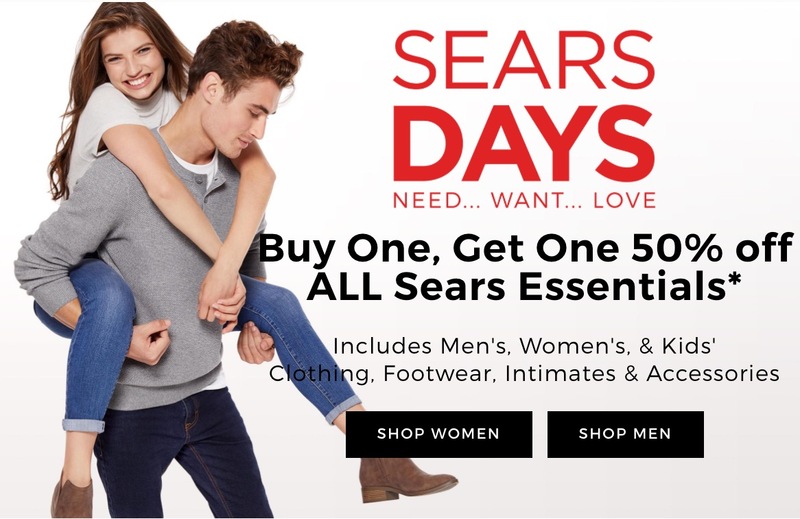 Sears Canada has has awesome Sears Days available now that includes: Buy One Get One 50% off all Sears Essentials that includes Men’s, Women’s & Kids clothing, footwear, intimates & accessories. The Sears Days sale is valid until Wednesday, October 4, 2017. Sears Canada has FREE shipping on online orders of $99 or more.